Most adults just want to hit the sack and get some well-deserved rest and sleep after a long day at work. The daily grind can take its toll on us and merely to survive is still a struggle for many. But some still remain sleepless no matter how fatigued they are. We are not just pointing fingers here and solely blaming technology for this misfortune. At times, it is your own body at fault. There are certain medical conditions that one person is at higher risk of having. You are predisposed perhaps because of your genes or something else in your genetic makeup or family history why you have that certain condition. Sleep apnea happens to be one of those things that many likes making fun of but is actually a very serious health condition. You would probably freak out once you discover that people diagnosed with this sleep disorder really stop breathing in their sleep. And we are not just talking about a random breathing gap but multiple times over the night. Not only that, people who sleep with this person tend to suffer too as the snoring sound can be so loud and intolerable most of the times. Many couples have broken up because of this so it is really worth looking into aside from the fact that you don’t want to die in your sleep without a fight at all. What’s even more disconcerting is the fact that your body (and your health in general) deteriorates because of the lack of sleep or the poor quality of it. In return, it puts you at higher risk of other conditions that shouldn’t even be a threat to the normal person who gets their recommended of eight-hour nightly snooze. One thing we found out now is the correlation between sleep apnea and Alzheimer’s. 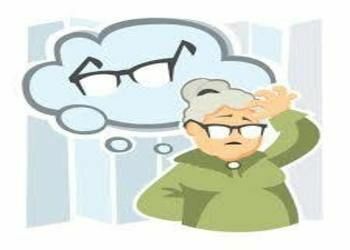 If you want to save your memory and your sanity in the twilight of your life, getting yourself checked and treated for sleep apnea if you show signs of it can very well save you from developing Alzheimer’s disease. Obstructive sleep apnea (OSA) could expose older people to a greater risk of developing Alzheimer’s disease, according to an American study published in the American Thoracic Society’s American Journal of Respiratory and Critical Care Medicine. OSA can lead to cognitive decline and accelerate brain aging in healthy adults, according to a study from the New York University School of Medicine. Researchers found that breathing problems during sleep favored the accumulation of amyloid plaques in the brain, associated with Alzheimer’s disease, thus exposing subjects to an increased risk. Sleep issues are becoming far too common in the elderly. It is a common complaint of most seniors. But no matter what your age are, sleep apnea should be addressed right away and not just take your chances once you close your eyes to sleep for the night. And fortunately, the older community will have higher chances of saving as many as they can from succumbing to Alzheimer’s disease especially those who also suffer from sleep apnea. It has been discovered that there is a close relationship between the two. This discovery can help doctors and sleep specialists take a closer look to the occurrence of sleep apnea and Alzheimer’s disease in adults and help them lead normal and healthy lives in the last years of their lives. “Sleep apnea is very common among the elderly, and many aren’t aware they have it,” said senior researcher Dr. Ricardo Osorio. He is an assistant professor of psychiatry at New York University School of Medicine in New York City. An estimated 30 percent to 80 percent of the elderly suffer from sleep apnea, depending on how it’s defined, the study authors noted. 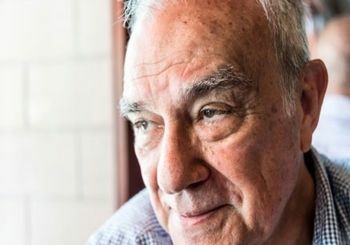 Although none of the participants developed Alzheimer’s over the two years of the study, those with sleep apnea accumulated amyloid plaque, which could trigger Alzheimer’s in the future, Osorio said. What is the sense of living if you don’t have any idea what you are doing anymore? No recollection of your past and mindlessly going about your present. This is the dilemma faced by many senior people as a big majority of them not only suffers from poor sleep but have Alzheimer’s too. They can’t even manage to do most of their activities of daily living and solely rely on healthcare providers for assistance in everything they do in their day-to-day. But we can save them from a life like that if sleep problems like sleep apnea are diagnosed early on especially now that the experts have discovered the link between the two. One convenient way of protecting yourself from sleep apnea is by wearing anti-snoring mouthpieces. They are not just convenient to use; they also correct the anatomical problem that gave you sleep apnea in the first place. You no longer have to be scared of not breathing in your sleep when wearing one. CPAP is also available, but difficult to use for most elder people: https://snoringmouthpiecereview.org/why-a-cpap-machine-is-probably-not-for-you. These handy devices are more cost-effective too than other sleep apnea management, so there really is no more reason for anyone to suffer in silence because of this sleep disorder. 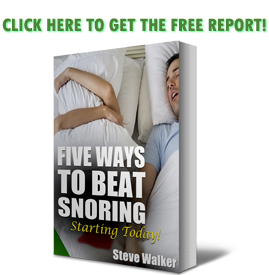 https://snoringmouthpiecereview.org/snorerx is good for starters. It will save your health and the ears of those people sleeping beside you without hurting your wallet at all and you can be assured of growing old without losing yourself and your mind to Alzheimer’s.